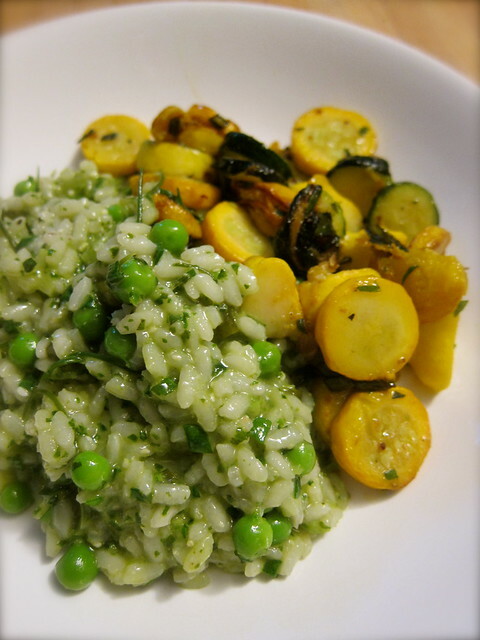 The pleasures of August are many, including the onslaught of summer squash. Like so many things in the garden, it’s a fine balance between having too much or too little. We plant with the anticipation of the toll taken by powdery mildew and squash vine borer, however, with ten pounds collecting in the fridge, we finally relented and took out one of our seven vines. Where some see glut, we see delicious opportunity. Here are just some of the ways we enjoy their bounty during the season. Early in the season, we have summer squash at their simplest — sautéed in good olive oil with garlic scapes, and the herbs that are just appearing, like chives. We’ve learned to cook them as the Italians do, long enough that they become meltingly tender and buttery. 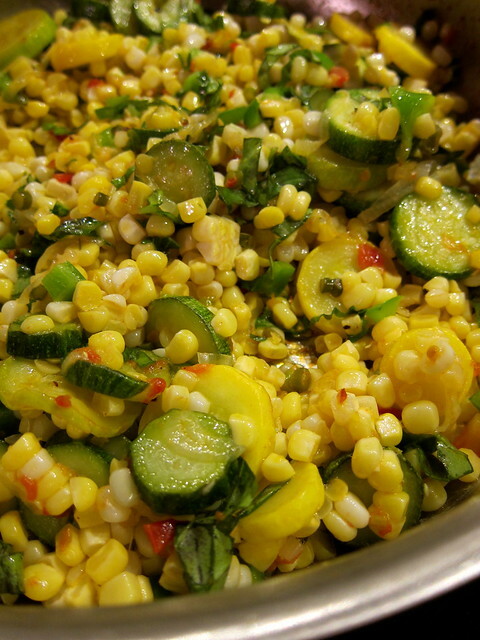 Next, a summer succotash, an easy single-pan dish. First-of-the-season corn is cut off the cob, then sautéed with sweet onion, green bell pepper, chunks of summer squash, and a tomato for color. Garlic scapes rounds things out, and a garnish of basil from the garden adds a finishing touch. 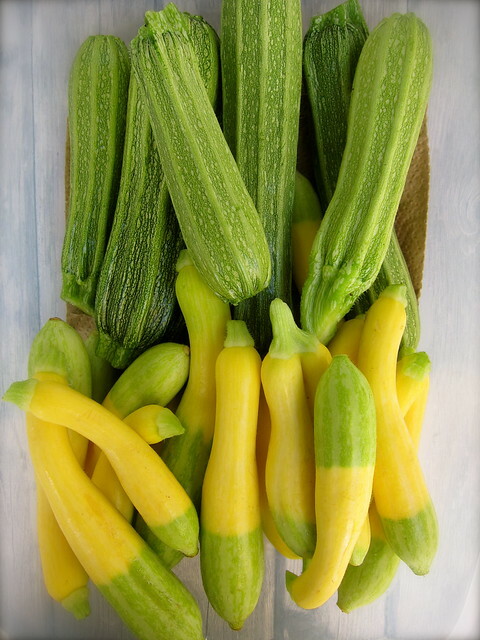 We grow only two varieties of summer squash, Costata Romanesco and Zephyr, which serve most our needs. 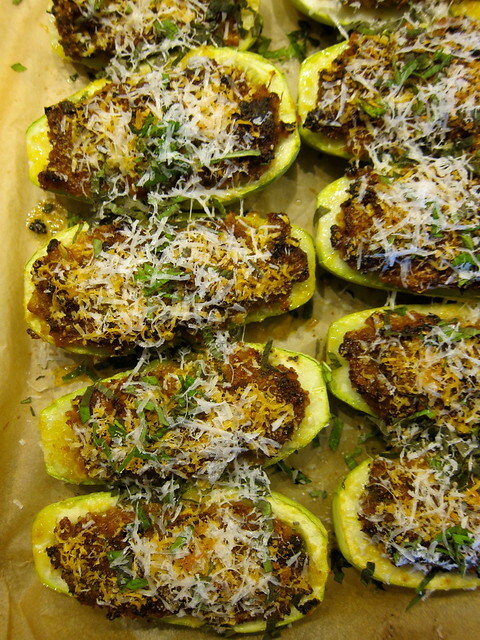 However, when Kousas appear at the farmers’ market, we grab a bagful just to make zucchini ripieni, or stuffed zucchini. Their voluptuous shape make a fitting receptacle for a savory filling of ground lamb and a copious shower of mint. We pick the summer squash young enough that they often still have their blossoms attached. With the favas we forgot to add to the succotash, we used both the squash and their blossoms for a spur of the moment pasta. The summer squash are sliced paper-thin, then stewed gently with the favas and and a bit of bacon for a hint of smoke. Sometimes you just want something crunchy, and these baked fries satisfy the craving without the guilt. 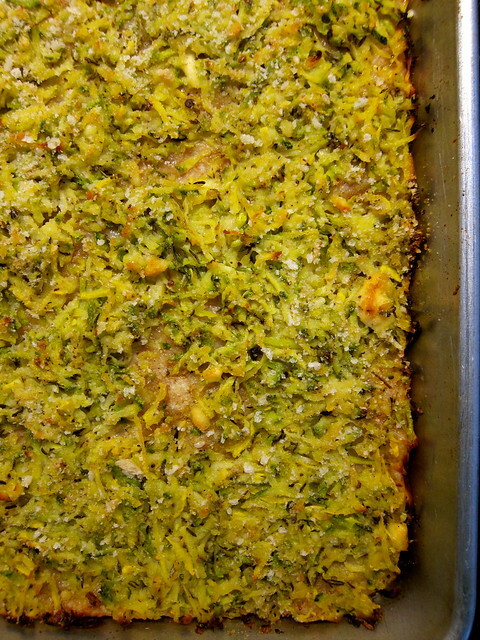 At the same time, this version put a sizable dent in our supply of summer squash. No matter how many of these you make, they’ll all disappear. Pair these with a simple tomato marinara sauce, or the sweet onion dip included in the recipe. One of the deciding factors in choosing which varieties of summer squash to grow depends on how well suited they are to grilling. 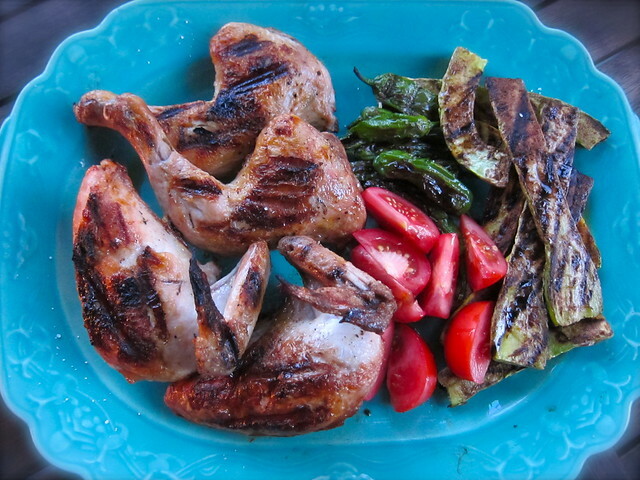 Anytime the grill’s lit, we slice a couple of them lengthwise, massage in some good olive oil, and cook them over fire. 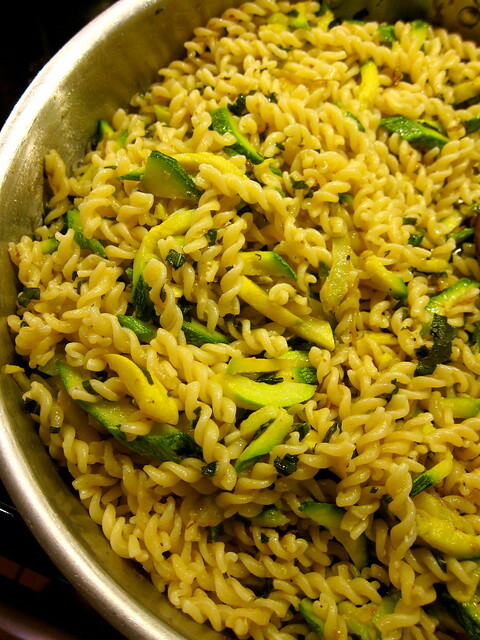 It may be cheating to include another pasta here, however, this one calls for 1½ pounds of summer squash, and we regularly rely on some version of this when we need to make a sizable dent in our supply. If you have them, this easily takes 2 pounds or more, and is delicious enough that we look forward to making this as many times in the season as we can manage. Stashing summer squash in baked goods is an obvious choice. 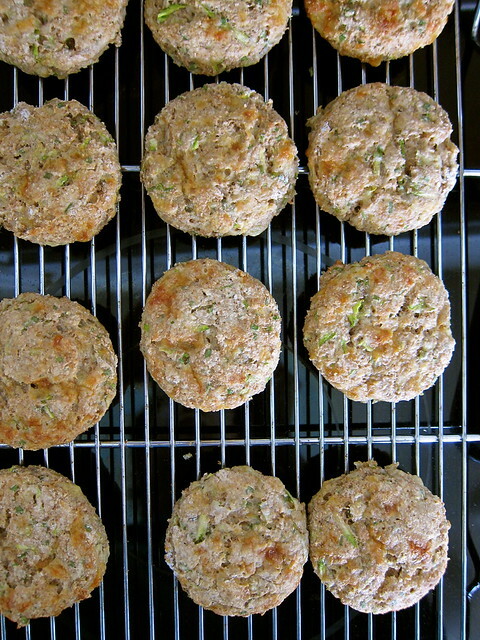 Cheddar and chives takes these biscuit-like scones in a savory direction. Made with sprouted wheat flour from a friend, we’ve been enjoying these toasted up for breakfast. The one small zucchini that the recipe requires may make this seem hardly worth the effort, but could be a perfect way to use the lone one left from your CSA share. We gravitate towards recipes that use two or more pounds of summer squash, and this flatbread doesn’t disappoint. Double this favorite, and make 5 pounds of summer squash disappear in a flash. Using a no-knead dough, we vary the flavors by the choice of cheese and through the addition of herbs. The original version calls for Gruyere, we often use a mix of provolone and fontina with marjoram or summer savory. Feta and dill, or even zahtar, is another favorite. During high season, we make a couple of extra batches as a convenient way to freeze summer squash: The flatbread is cut into manageable pieces, then stacked and wrapped in foil. A sheet of wax paper between the layers will prevent the pieces from sticking to one another. When ready to serve, defrost and toast up until crisp. This shorthand version of stuffed zucchini was too cute to pass up. The summer squash are scraped just shallow enough to hold slivers of mozzarella and a line of cherry tomato halves. 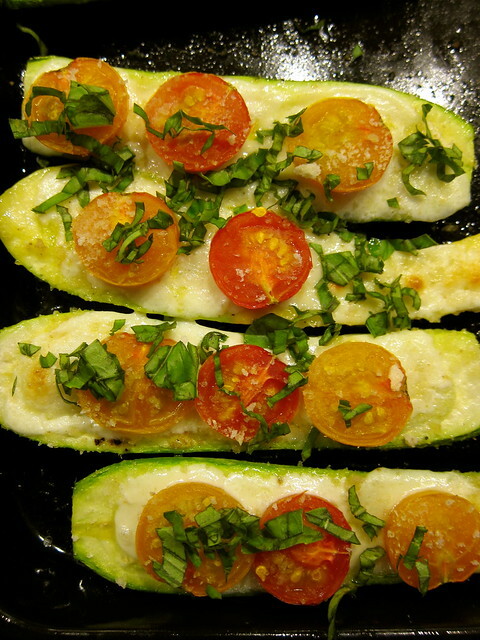 Bake these little zucchini canoes until the cheese is bubbly and beginning to brown, and finish with a drizzle of good olive oil and some fresh basil. 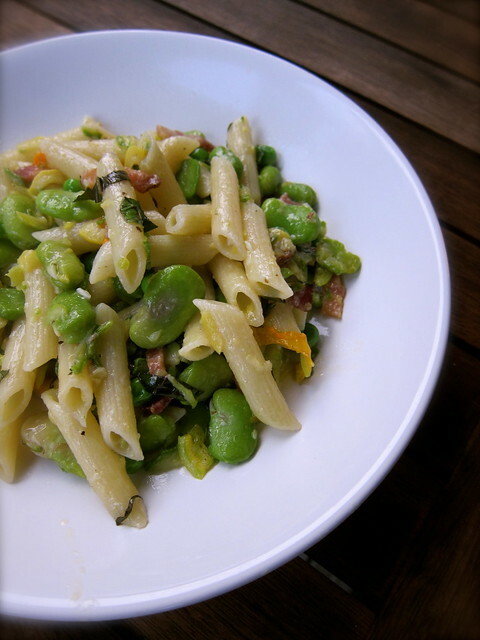 This entry was posted in cooking, garden and tagged baking, corn, herbs, pasta, summer squash. Bookmark the permalink. Wonderful! All great recipes on one single page. This will stay bookmarked. Sharing AND bookmarking! So many wonderful choices – thank you! Once again I rely on the farmer’s markets and friends for zucchini, once again my plants have remained small and blossom-less; there is always next year (sigh). 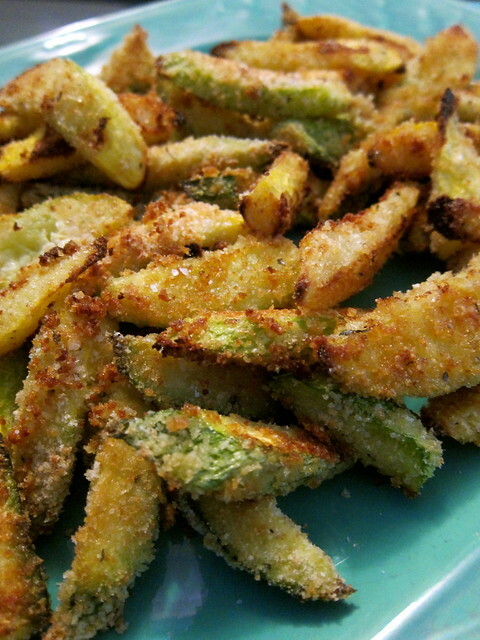 10 zucchini recipes in one place! Someday I’ll have to put all of mine in one place again. Once upon a time I had printed out a bunch of them and bound them into a booklet, I wonder whatever happened to that thing… I’ve got a few more to add to the collection, and now a few more to try. A lovely collection of unique ways to use summer squash. I can’t wait to try some of these. Mmm I love zephyr squash. Any other summer squash I have to cook to within an inch of its life to enjoy. The Baked Zucchini Fries with tomato marinara sauce are definitely on the menu this week. All look delicious. Am saving all 10 ways. Thanks.